BJPENN Radio is back at 8PM ET/5PM PT with more of what you crave! 8:15PM ET- Our first guest is the man they call “Hot Chocolate,” Danny Roberts. As UFC on FOX 26 draws near, we’ll preview Danny’s showdown with Sheldon Westcott in Winnipeg on December 16th. 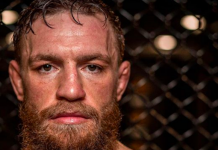 After working past some personal issues outside of competition, Roberts aims to show the world his true potential and climb the ranks in the talent-rich welterweight division. We’ll get “Hot Chocolate’s” opinion on the current landscape of 170, where he fits into the battle for ranked status, and we’ll also discuss some of MMA hot topics. 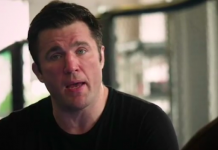 8:40PM ET- We wrap things up this week with the always outspoken and entertaining, Chael P. Sonnen. “The American Gangster” returns to discuss a plethora of subjects in combat sports this week including: Submission Underground 6, Kelvin Gastelum’s big win and the future of Bipsing, the upcoming Bellator Heavyweight Grand Prix, Colby Covington, Frabricio Werdum, and much more. Another must-hear conversation! Stay tuned every Wednesday and bookmark BJPenn.com/MMA-News for all the latest!